H 8" x W 5" x L 11"
Condition: Very very Good; NOT NEW; NOT LIKE NEW. Clean inside and outside with minimal signs of use including darkening of interior lining (restoration has included matching cognac tan fabric dye to this upper interior area thus resulting in a fresher look). For this reason we have listed this bag here in our Bargain Bags section which means NO RETURNS and always guaranteed authentic Dooney and Bourke product or your money cheerfully refunded. No odd odors, rips, or missing parts. 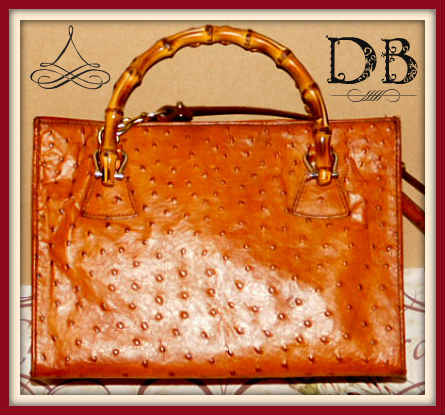 Jo's Note: “ Here's a great Ostrich Dooney Bag with those gorgeous antiqued honey color Bamboo handles! Love the wide opening and medium size (roomy thus holds an amazing amount) making it so convienient to load and see exactly what's inside at a glance. Complete with an adjustable shoulder strap which allows you to carry your satchel bag hands free also. 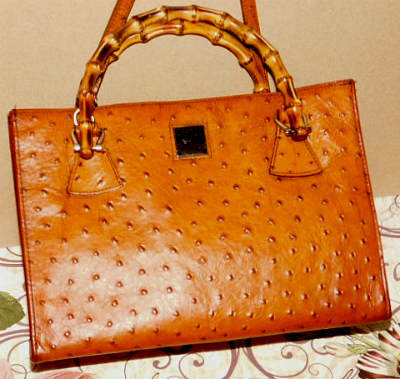 We've priced this special Panama Ostrich Bag for our Bargain Bags section so hurry and order while its still available! 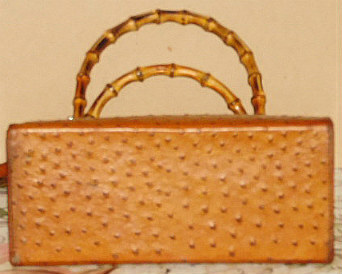 All bags listed (except those marked "new"or "like new" which contain very specific descriptions in each listing) will have one or more of the following: various degrees of darkening of tan trim, very small discolorations inside or outside, small pen marks inside or other minor signs of use. Anything easily noticeable will be mentioned in the listing. 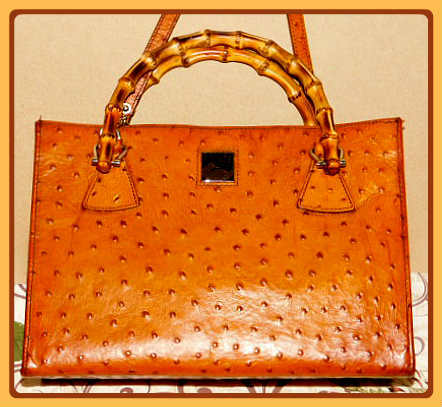 No effort is spared in selecting the finest Vintage Dooney treasures. Thus, no bag will be damaged or torn or have missing hardware, including Bargain Bags, with the following exceptions: In rare instances a wear issue has been resolved with a necessary repair & this will always be stated in the listing. 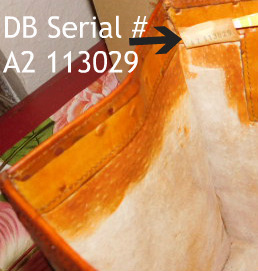 Unless a bag is marked (Brand NEW) it is previously worn & owned. Do not expect these bags to be like brand new unless I state this in the description. 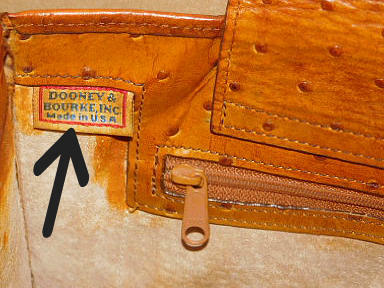 Do expect them to be clean and restored with the finest leather care restoration products available..
By Law I am required to state I am not an employee of Dooney & Bourke or in any way affiliated with Dooney and Bourke. 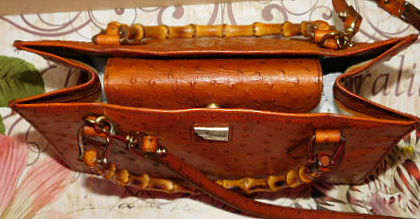 A Word About Prices: At VintageDooney.com it is my earnest desire to provide each of my Dooney customers with the best of the best. In today’s economy, we all want the most for our money. A truth I’ve learned over the years is that the cheapest price is not always what we really want. I’ve never found a company that could provide all three: finest quality, best service at the lowest price, have you? For your long-term satisfaction with your Dooney collectible, which of those three would you be most willing to give up? Quality? Service? Or Low price? 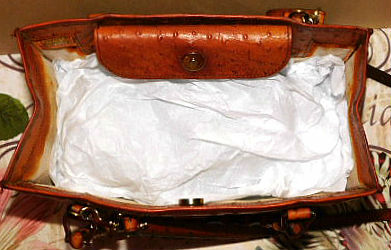 Unique Professional Restoration: From the moment I choose to purchase a Dooney for my customers, care is taken to clean & restore it with maximum "fussiness" thus allowing its enduring beauty to shine once again. Only top quality leather restorative products from France, Germany and London England are skillfully applied to your bags because there you find some of the world’s finest cobbler shops, experts in leather care. FREE SHIPPING ON THIS DOONEY BAG!